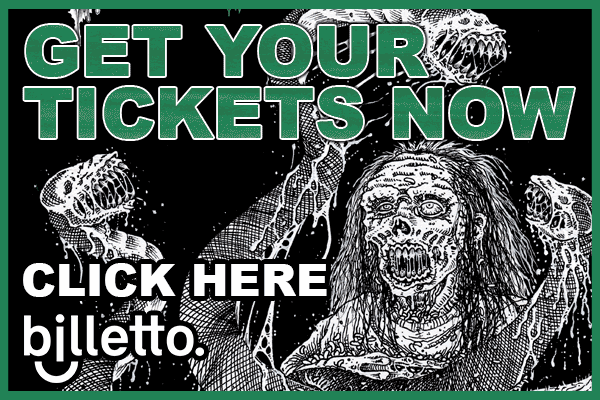 Killtown Death Fest » Announcement #21: CADAVERIC INCUBATOR (fin)! Announcement #21: CADAVERIC INCUBATOR (fin)! We return to present more corpses for the mass grave that will be KTDF 2018. This time we are bringing down more depravity from the northern part of Scandinavia in the form of some Finnish exhumers who happened to have released one of the most vile and disgusting death grind releases of 2017. Therefor we’re happy to present CADAVERIC INCUBATOR on the stage of our Resurrection! 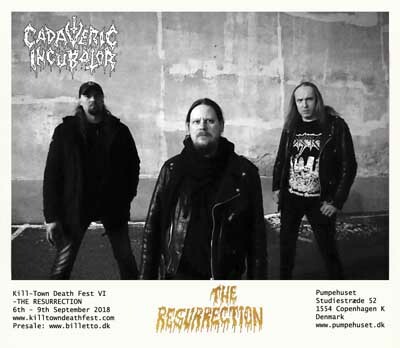 Cadaveric Incubator was formed in 2005 by Necroterror (bass/vocals) and Humiliator (guitar/vocals) with the help of various drummers who came and went during the bands first incarnation which lasted around two years. The aim was to create old school disgusting sounds influenced by early Carcass, Repulsion, Autopsy, Xysma, Mortician, Blood and more vile and gory grinding death metal acts of death metal’s youth. But after two demos – of which only the first one “Resurgence of Morbidity” was released – and countless live shows, the band split up in early 2007 due to personal problems between the members. Seven years later, in 2014, Necroterror resurrected Cadaveric Incubator by teaming up with his old comrade Pentele, who he had know from the early 90’s scene – Back in the deep Finnish backwoods when Necroterror played in his first-ever death metal band, Excrement, and Pentele was drumming for Carnifex and Festerday in the same area. Original founding member Humiliator was asked to join as well and the new demo “Unburied Abominations“ was recorded. After several brutal live shows and a demo compilation released by Terror from Hell Records, the band finally recorded 12 tracks in early 2016 for their debut album, “Sermons of the Devouring Dead”, that was released by Hell’s Headbangers Records in 2017. The band has played in Finland and Russia, but this will be the first time they venture a bit down south of Finland.